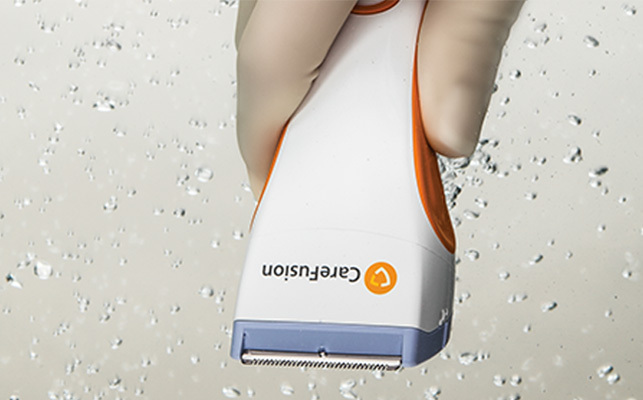 The new BD Surgical Clippers quickly remove hair in a single pass, while helping to reduce the risk of skin irritation and infection compared to traditional razors. Developed with clinicians and incorporating the features they recommended to deliver a durable model easy to use and to clean, with long life and run time. The versatility, hygiene, and performance of our BD Surgical Clippers make them suitable for any area of your Healthcare facility. 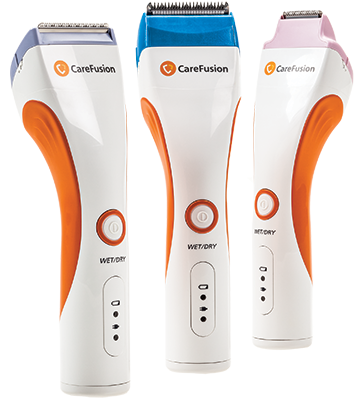 40° angled ergonomic handle creates a more intuitive use for seamless hair removal in a single pass. Updated button technology simplifies clinician use and eases cleaning. Durable external materials increase compatibility with commonly used disinfectants, and a new extended two-year warranty ensures device longevity*. Lithium-ion battery technology facilitates longer run time and improves energy efficiency. 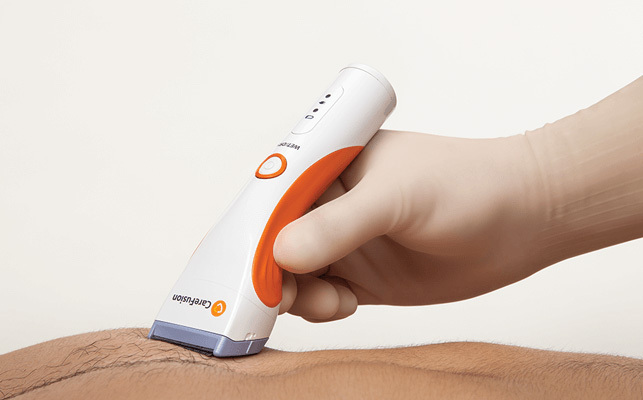 Battery life indicator light alerts clinicians when to charge the unit. 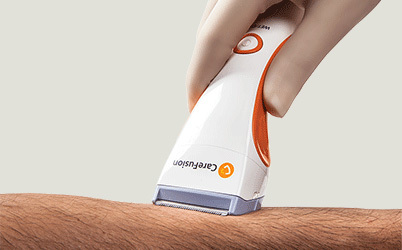 Leading healthcare organisations recommend clipping vs shaving to helps to minimise the risk of infection.